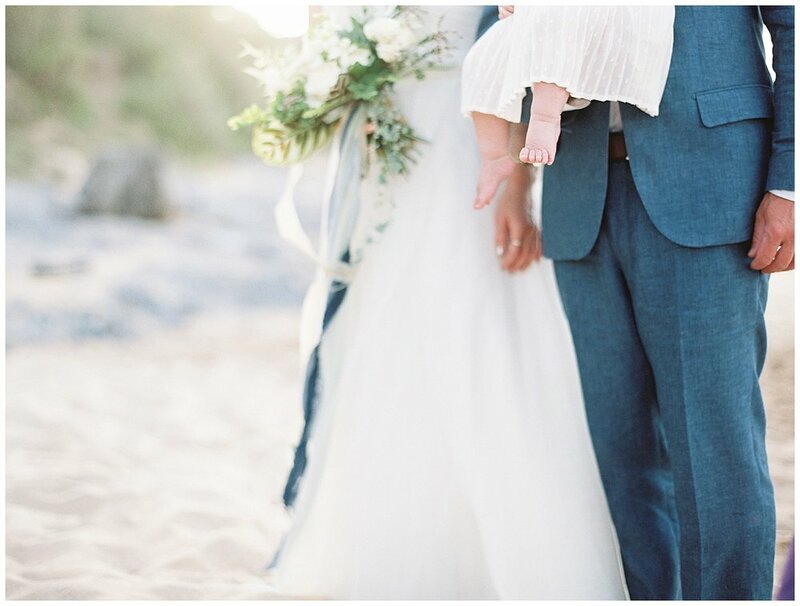 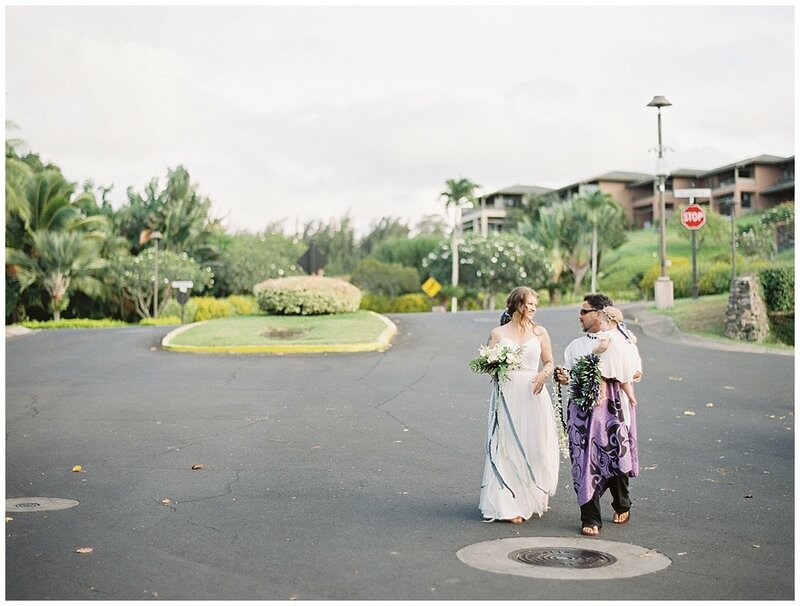 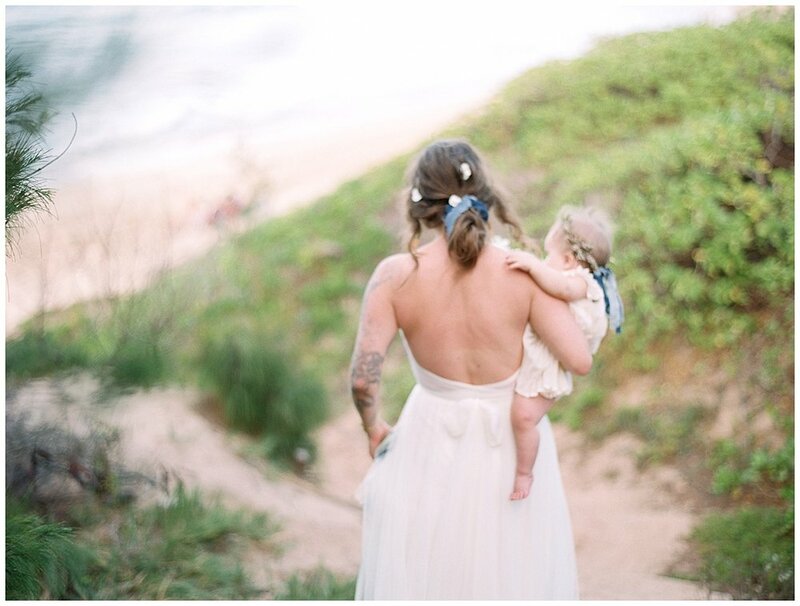 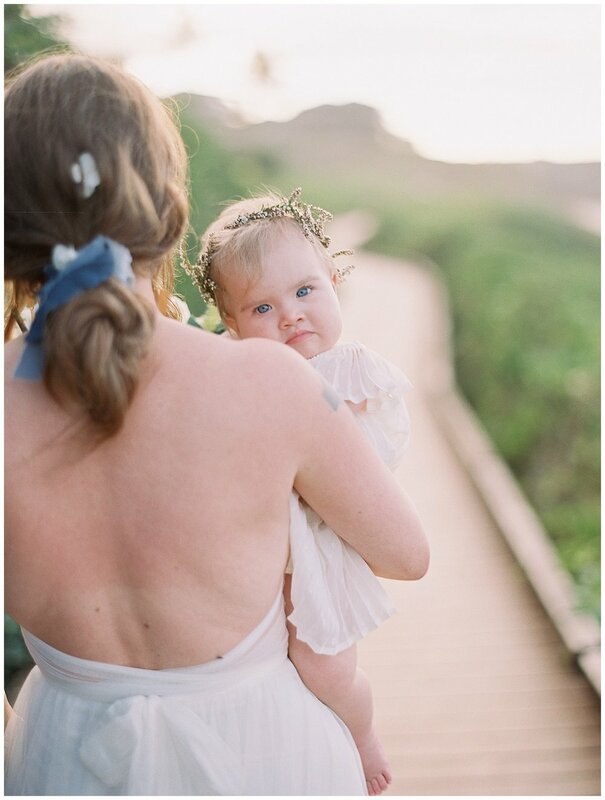 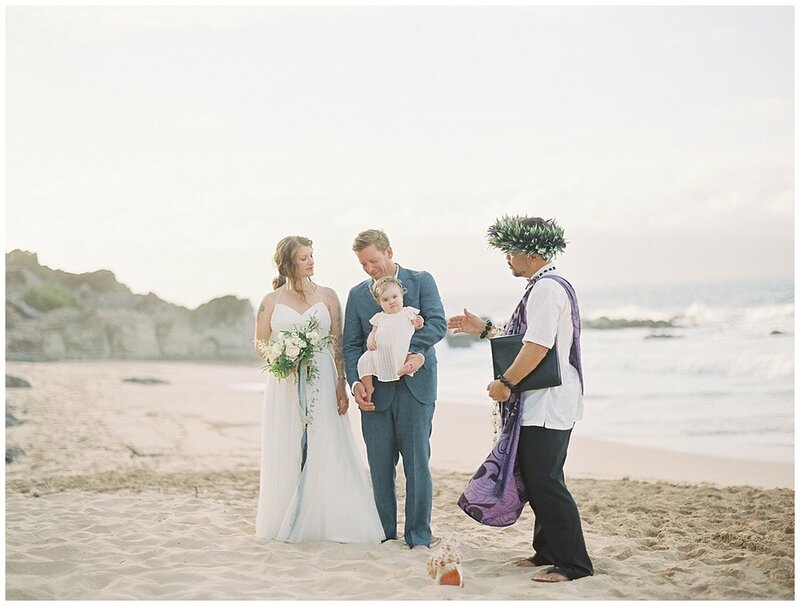 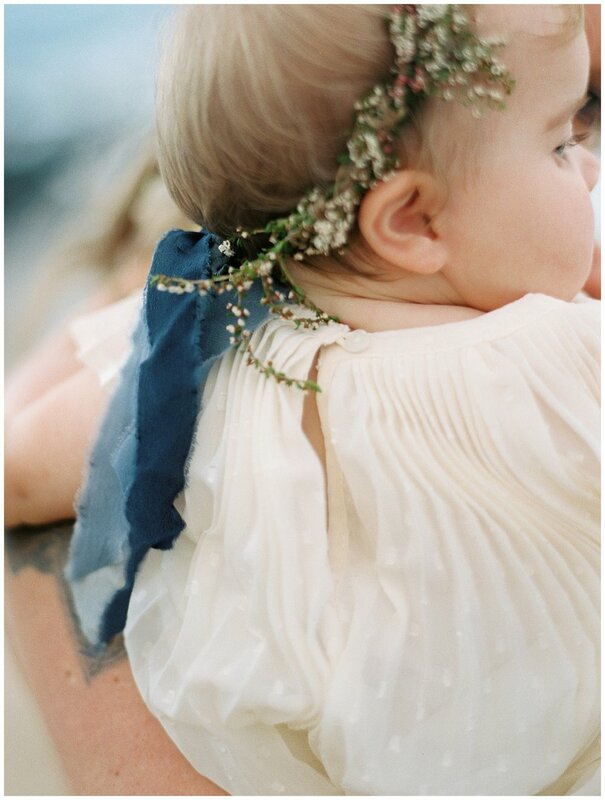 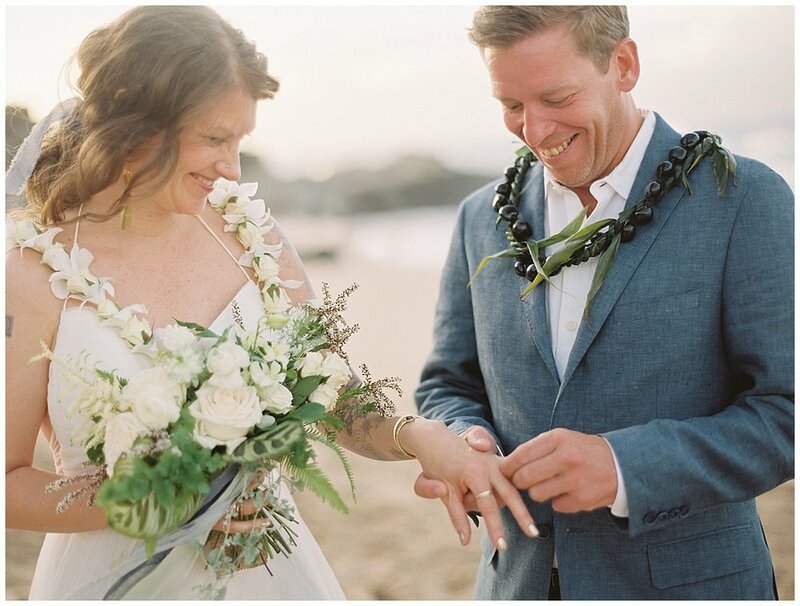 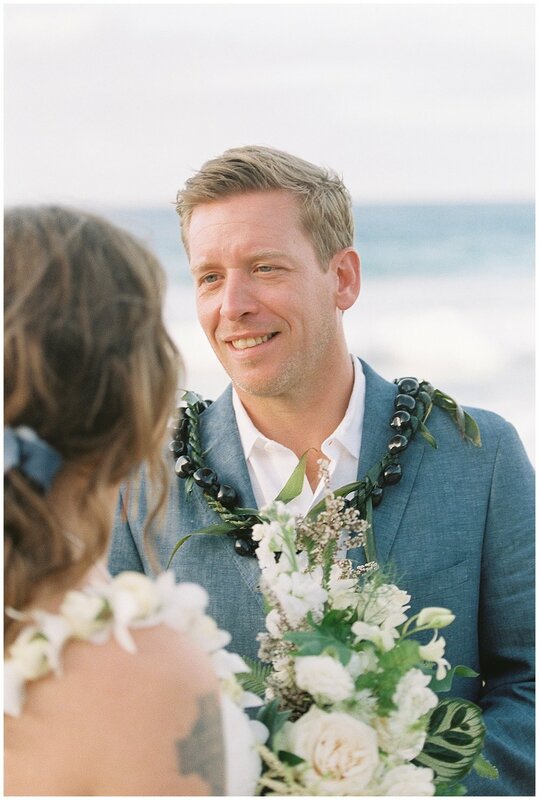 This elopement was especially sweet with the presence of their baby daughter as the flower girl. 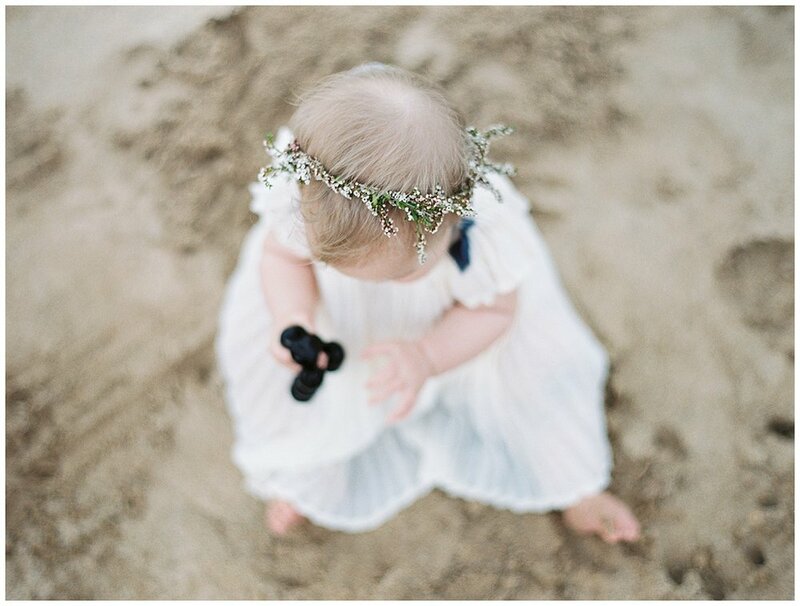 She was such a character, and watching Reverend Kimo (my favorite officiant) with her was so ridiculously cute. 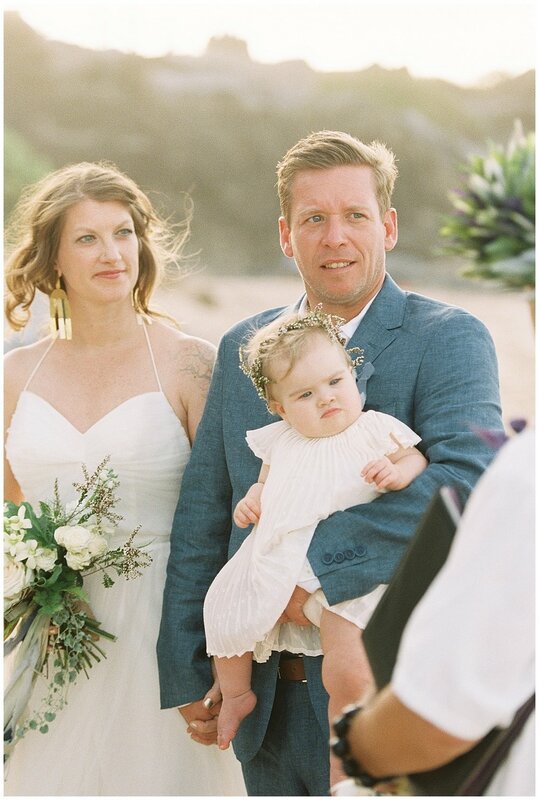 Loved watching this family make it official together. 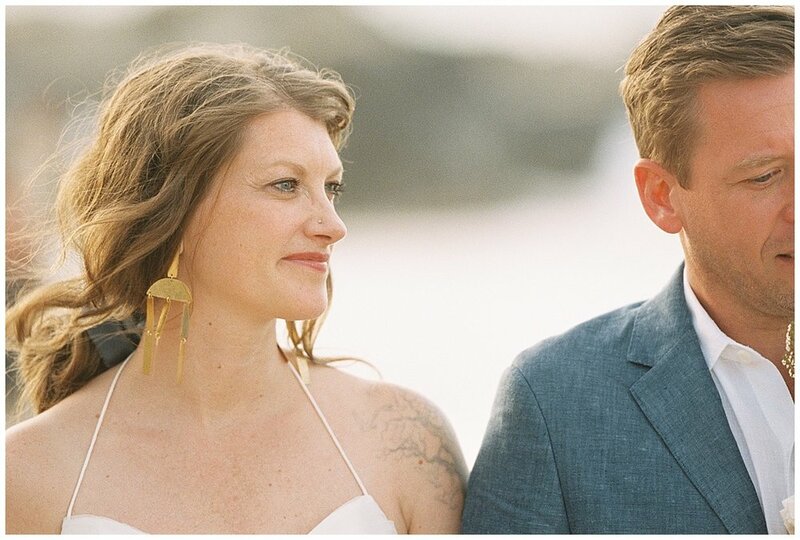 Loved hearing the bride and grooms slight Boston accents. 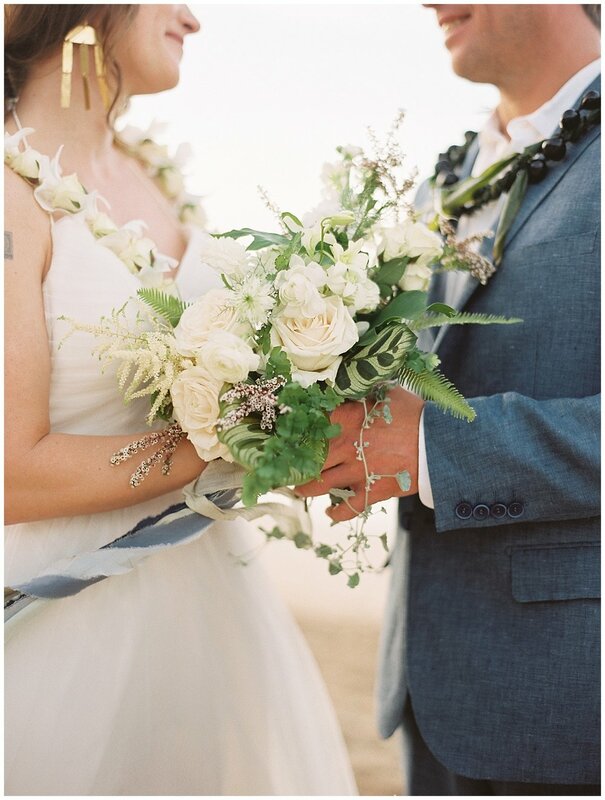 Made me feel like I was home and I caught myself cutting my r's off the ends of words for a few days after this wedding. 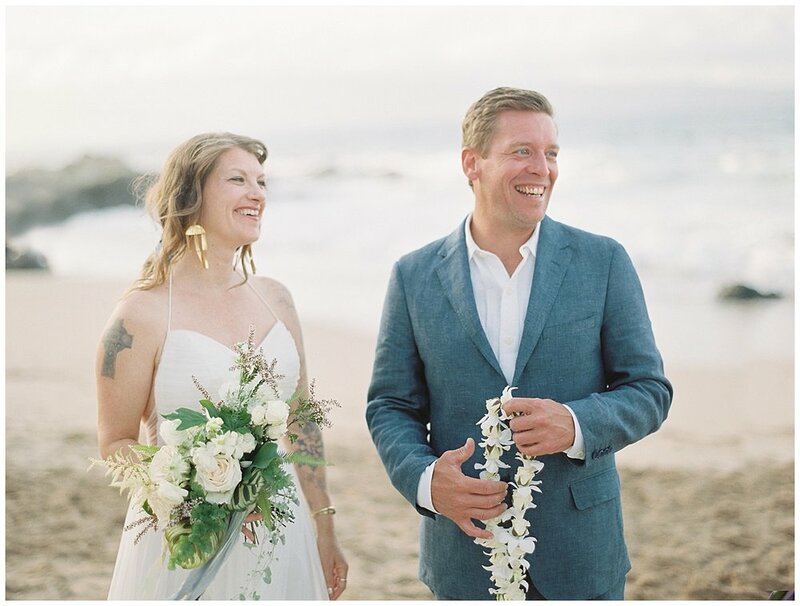 Loved the fact that she's a florist on the east coast (check out LunaMoss.com) and made her own bouquet and daughters flower haku by foraging the day of the wedding. 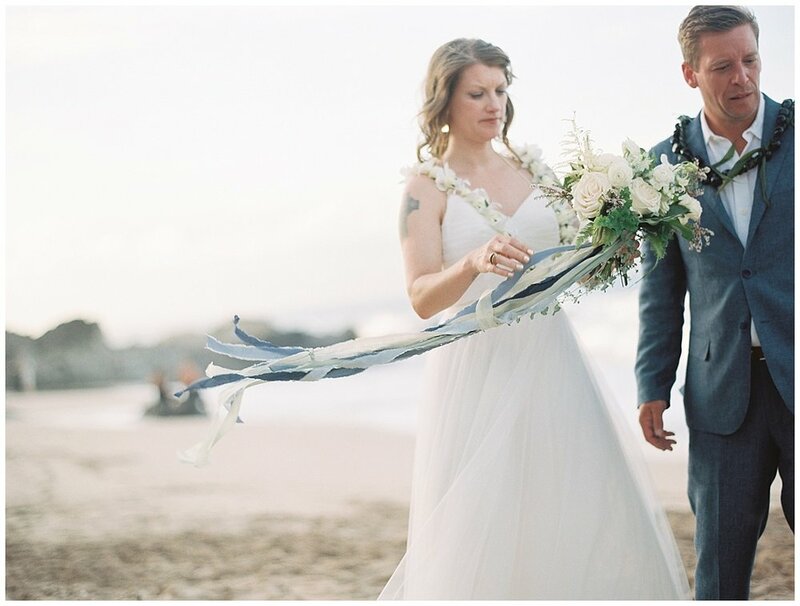 Loved the soft light and not so soft wind that played with the ribbons draped off of her bouquet.